Being originally from Canada the winter Olympics were always more my cup of tea, but I have definitely been enjoying the 2016 Rio games. 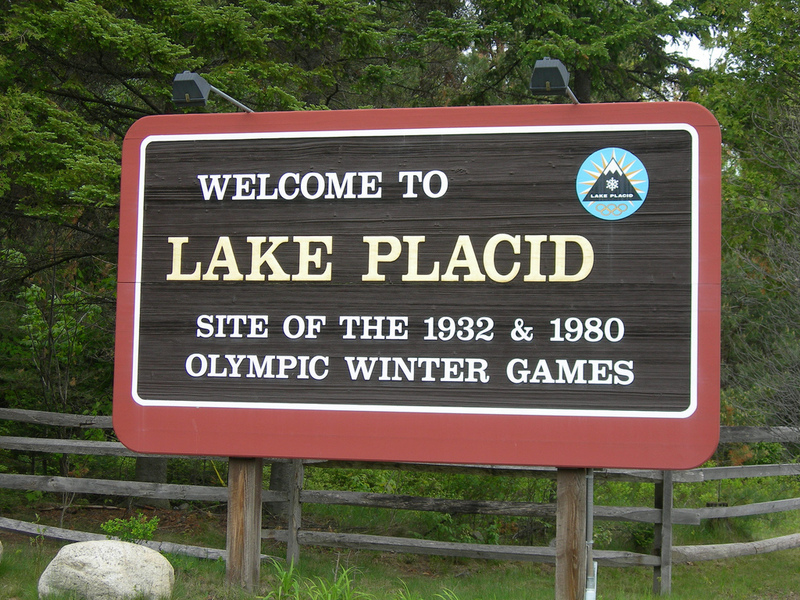 With the Rio Olympics recently completed and my family driving through Upstate New York we jumped at the change to check out Lake Placid. Home of the 1932 and more recently the 1980 Winter Olympics. 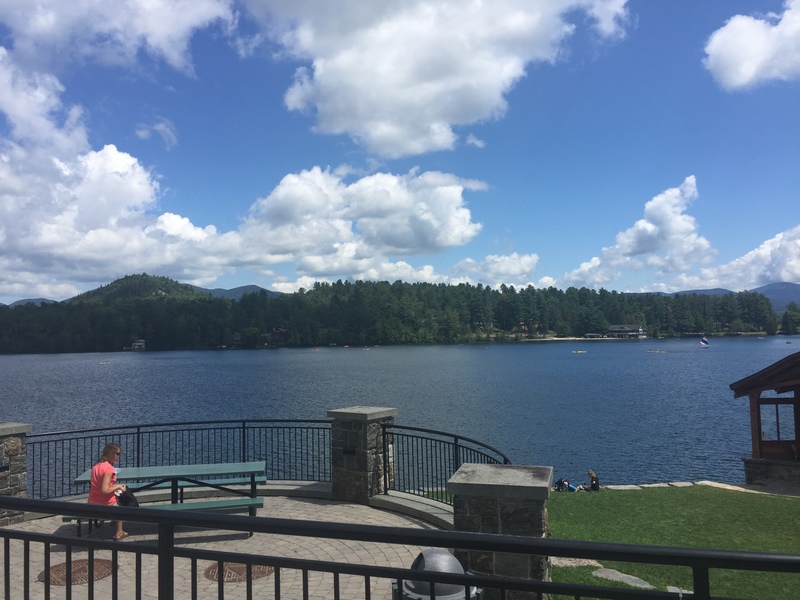 After arriving in Lake Placid we found a nice parking spot right near the lake and decided to walk around Main Street and take in the Olympic Spirit still alive and well. Of course the most memorable event during the 1980 Olympics was the Miracle on Ice USA Men’s Team miraculous win over Russia. I was only a few years old when it actually happened but in the years since have always been completely overwhelmed with the story behind that USA team and what they accomplished. 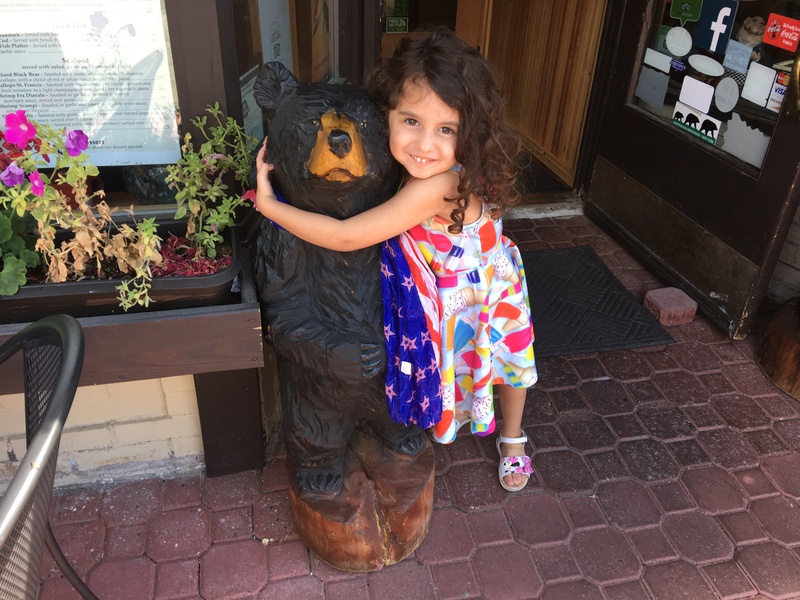 After visiting some of the Olympic facilities and souvenir shops we were getting hungry and had lunch at a quaint little place called the Black Bear Restaurant. It overlooked the Lake which a breathtaking view and the food was really good. The interior of this place was cute with lots of reference to black bears which Hanna really got a kick out of. 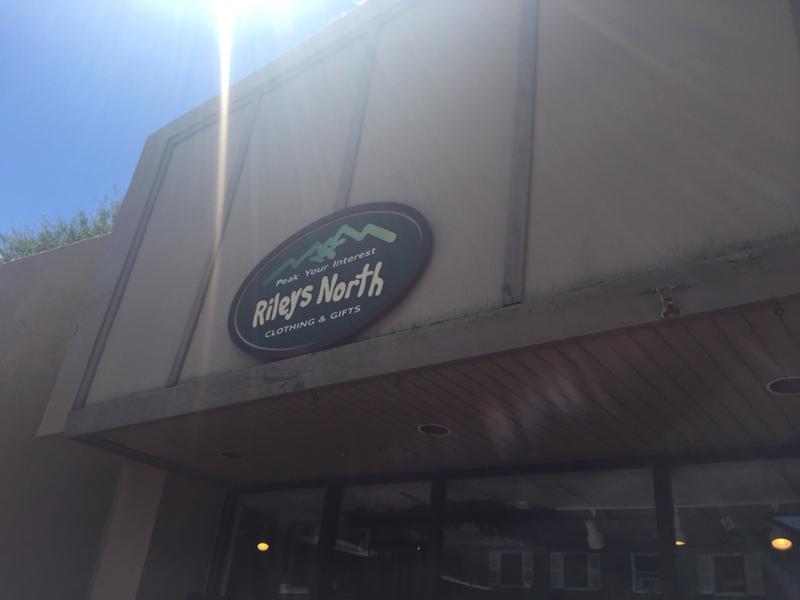 On our way back to our car we checked out on last gift shop called Riley’s. 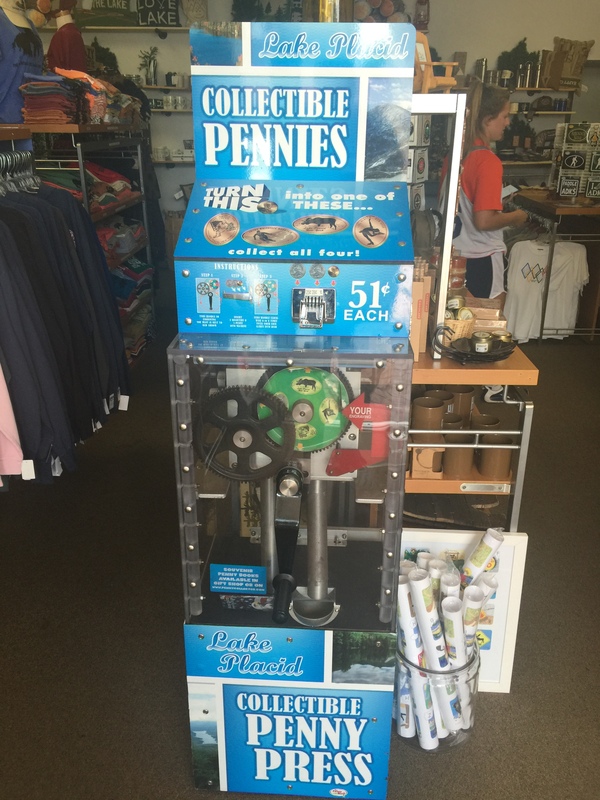 We had visited another of their locations in Lake George years ago and found some great gifts to bring back. As soon as I walked inside the front door I was greeted by the familiar sound of a penny machine being cranked. Just inside was a nice four design hand crank machine with some great designs. There were a few people using it ahead of me but once my turn came I rolled my designs and checked out the finished products. 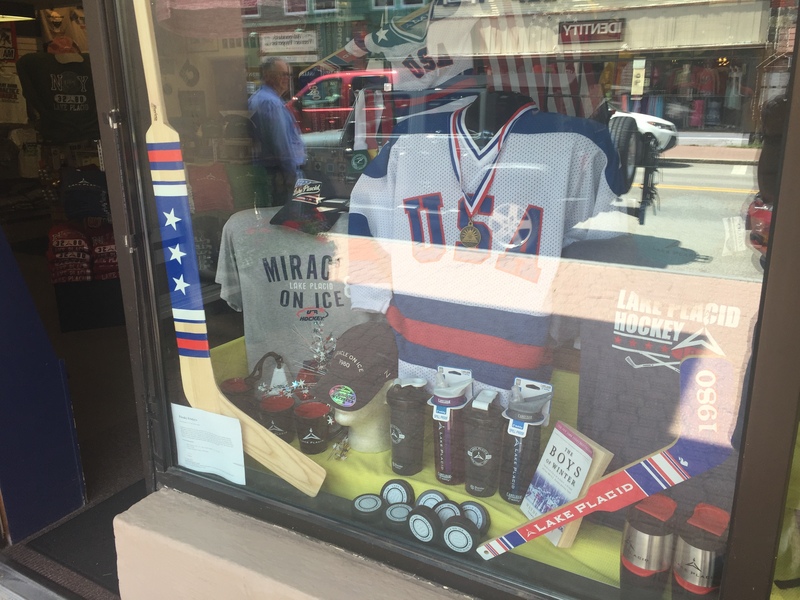 The designs had images of the 1980 Men’s Hockey Miracle on Ice (Really cool), Skiing Whiteface Mountain, a Moose, and a Figure Skater. 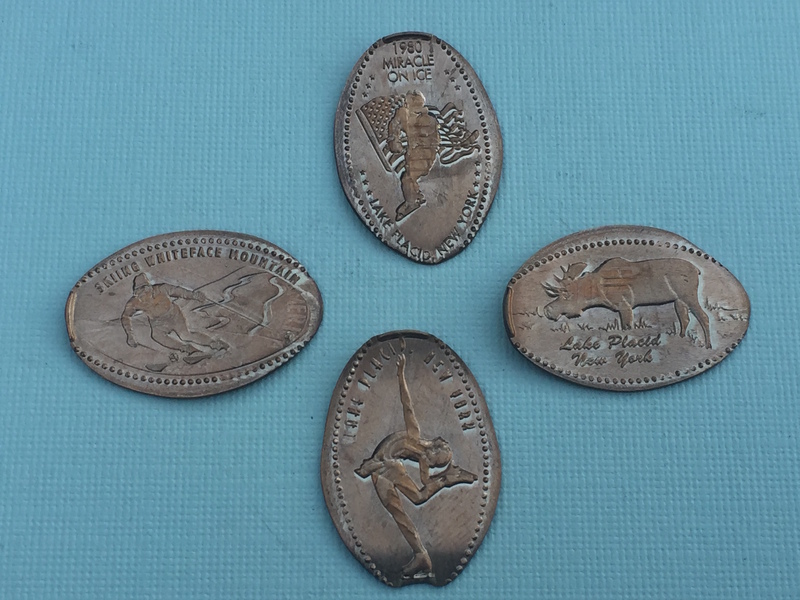 With these pennies collected I tried to remember if I had any other Olympic coins and couldn’t remember any. My fingers are crossed that somewhere someone is working on a special set to commemorate the 2016 games. Once we were back in our card with Lake Placid faded behind us we were off to our next stop in the Adirondack’s. Stay tuned to see where we end up next.